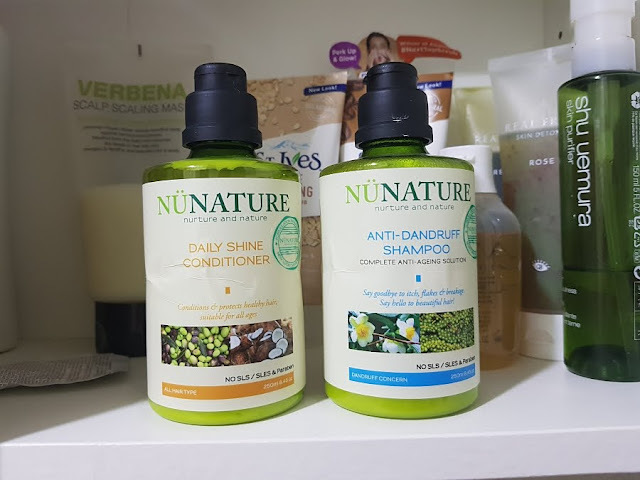 I've received these shampoos and conditioner a couple months back and now, finally typing my thoughts about the products as I wanted to at least try them enough and not just once. I want to see if they really makes a difference since they are made for dandruff and hair fall concerns. 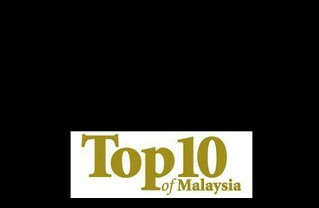 On their website, they do claim to be a natural range with precious botanical ingredients. They market themselves as having formulas that are rich in natural active ingredients with the latest trend in cell regenerative and anti-aging actives known as Indian Kino Tree Extract, thus an anti-aging solution shampoo. It is the key ingredient to all of its products and all their shampoos are free from paraben, SLS, and SLES. So, now that we know a little bit of their brand, let's start with these two 250ml bottles. 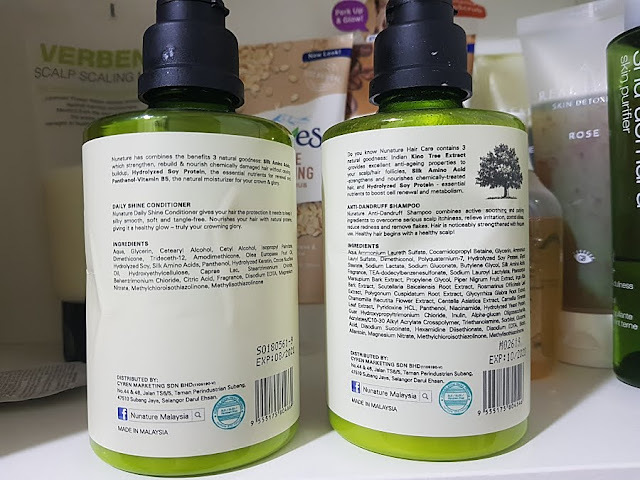 As some who once suffered from a pretty severe dandruff issue and now occasionally reoccurs, I have very high expectations since I have tried some of the best out there that really helps. Truthfully, the ones that I've tried are mostly medicated anti-dandruff shampoo but of course, I'm open to any natural solution. First of all, for a natural product, they are actually quite nice to use. Most natural or organic shampoo usually dries your scalp and hair out on the first use but this leaves your hair smooth and moisturised after using it. It foams well and it doesn't tangle my hair too much, making it easy to manage after shampooing. It smells pretty good too, not overpowering but not nothing, just nice. But the real question is, does it work? Unfortunately, not so much for my scalp. I think it's cause my scalp is so used to all the medicated anti-dandruff shampoo such as selsun and etc. This probably is just not good enough at the moment. I think I'll have to go for a serious scalp detox before I can try using this again. So, if you have been exposed to medicated anti-dandruff shampoo before, this might not be the natural alternative for you too. The conditioner is really nice and it has a pleasant scent. Works like most commercial shampoos but without all the harmful ingredients. For a natural conditioner, it's pretty amazing I have to say. A lot of us have this problem, even the ones blessed with the most beautiful hair have hair falls problem. So after trying out the dandruff one for a good month, I turned to this. My hair have been dropping like crazy these few late 20s of my life. It's crazy. I really hoped this could help with my hairfall issue but it didn't. I have a feeling it's not the shampoo's fault, it could just be that my scalp is still pretty weak from my dandruff issue or my diet and lifestyle that weren't exactly healthy for the month that I chose to try this shampoo. Haihz. 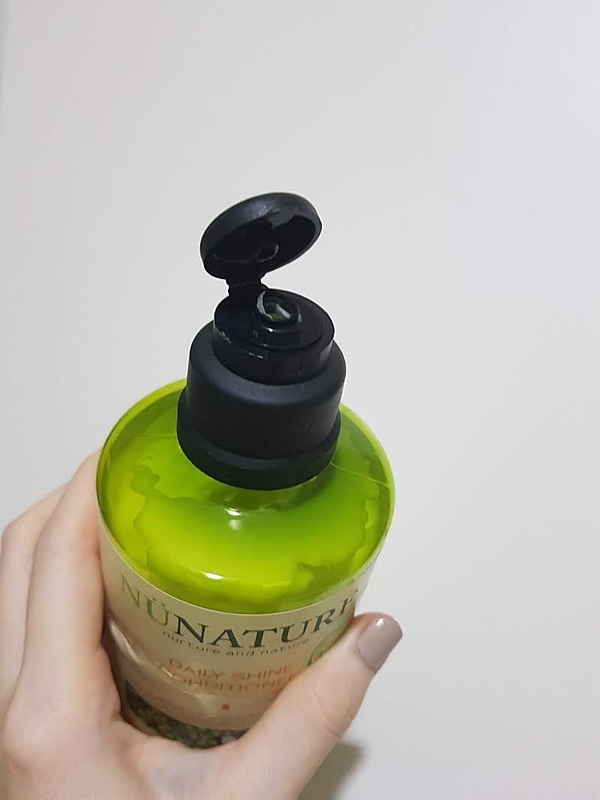 But for a natural shampoo, it's quite nice to use, smells good, does make your hair feels smooth and moisturised after shampooing, which again, you don't usually get that in a natural shampoo. 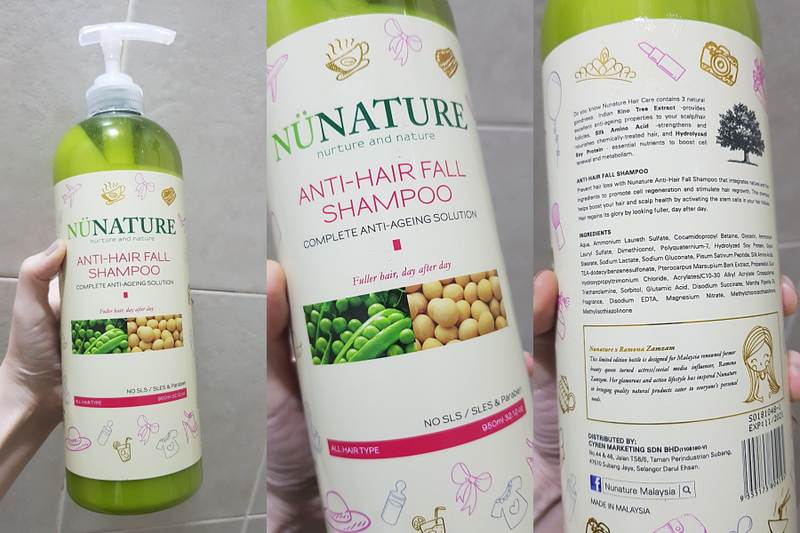 I think if you have the intention of switching to natural shampoos without much issues, try their other variants because overall, they are not that bad. Somehow they are able to not overdry your hair while being a natural shampoo. That's quite impressive. Crab Buffet At Vasco's Hilton KL! You Sure About PicoSure Laser? Read This First.